The paint on your home can make or break its curb appeal. But, unfortunately, it doesn’t last forever. 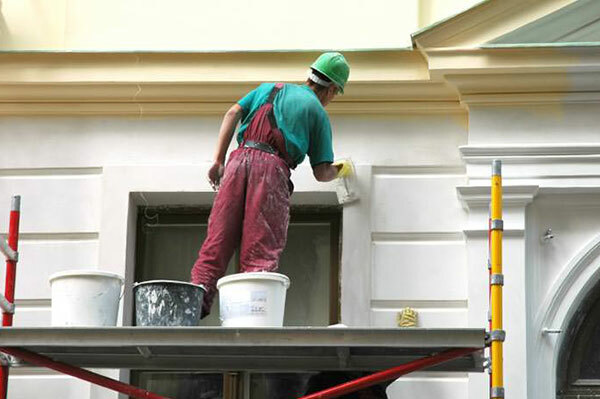 Over time and with exposure to the elements, eventually, the paint on your home is going to start showing signs of wear. If your paint is starting to crack, bubble or peel, we can help! At Sorensen Roofing & Exteriors, we’re proud to be your premier exterior painting company in Castle Rock. Our painters are some of the best in the business. Not only do we have years of experience in reinvigorating homes and businesses with fresh coats of paint, but we use the very best materials in every job we take on. With us, you’ll get a result that you love, and it will be designed to last. For expertise and a paint job that will last, choose Sorensen Roofing & Exteriors. When you want beautiful, long-lasting results, it’s important to choose the right materials and the right contractor in Castle Rock for the job. With the Sorensen team on your side, you’ll get expertise and experience that you can depend on, but you’ll also have the best paint to choose from. There are several things we look for in exterior paint, including wind resistance, stain and fungal resistance, chalking resistance and long-lasting beauty. We even offer green options for our customers who are looking for an environmentally friendly way to enhance their home’s curb appeal. We always strive to provide you with a wide range of choices and the very best products, because we know that the best results start with the best materials. Whether your home is in need of a facelift or you’re looking to get a whole new look out of your home with a new color, choose the experts at Sorensen Roofing & Exteriors for the job.